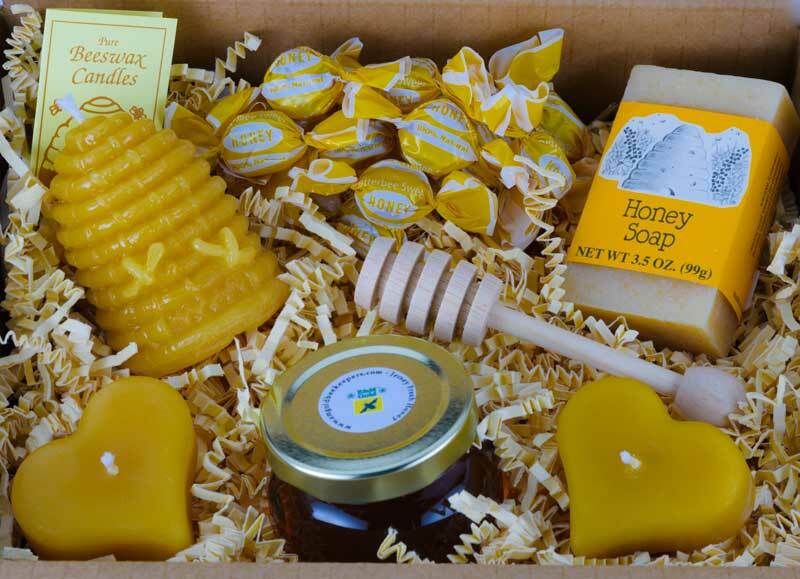 Our NJ Raw Honey Small Gift Box includes our ‘NJ Fresh’ raw honey and pure beeswax candles in a collection that also includes our tasty honey candies and honey soap, plus the unique gift addition of an old-fashioned honey dipper to make the honey enjoyment experience more authentic and fun. 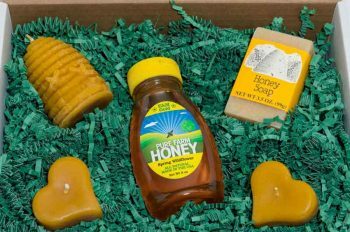 We created this NJ raw honey gift box to include one of our most popular pure honey flavors, and great-smelling Beeswax Skep candles that burn smoke-less, clean the air, and delight the senses with that wonderful ‘honey beeswax’ scent. 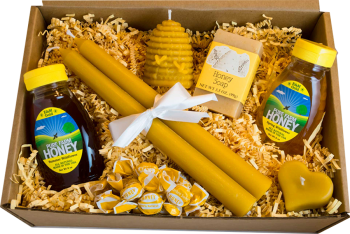 Our pure honey beeswax candles are lovingly made by Mary for a personal touch to your NJ Raw Honey Small Gift Box, adding even more enjoyment to your recipients’ gift experience. Our NJ Raw Honey Small Gift Box — featuring more items that you’d expect in a ‘small’ gift box! – is the perfect gift for moms, new moms, expectant moms, engaged couples, special friends, as a birthday gift, hostess gift, welcome gift, holiday gift, or just as an extra-special sweet treat for a loved one….or for yourself! The honey lover on your gift list will be thrilled to unwrap our hand-selected, and carefully-packed NJ raw honey gifts. 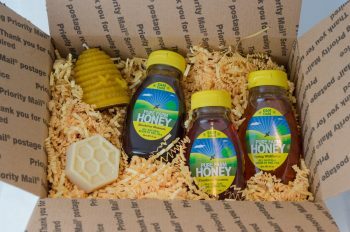 The NJ Raw Honey Small Gift Box can be shipped to any location within the Continental US for only $12.99. Excludes Alaska and Hawaii. 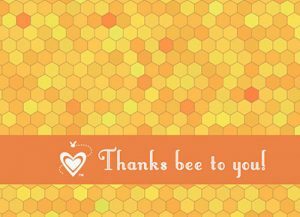 Let us know what personal message you would like included and we’ll add your message to our special “Thanks Bee To You” card!